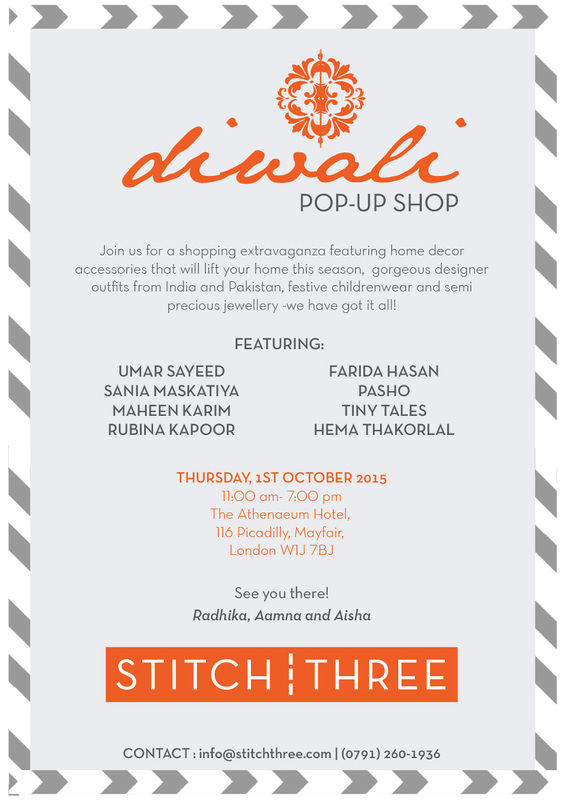 After the South Asian fashion studio Stitch Three’s successful trunk show last year, they are back again with their Diwali Trunk Show, which will present party season staples and must-haves taking place on Thursday 1st October, 11am – 7pm, Athenaeum Hotel, 116 Piccadilly, Mayfair, London W1J 7BJ. The event will feature collections from some of India and Pakistan’s leading designers available at domestic retail prices and childrenswear and accessories. A mixture of heritage and new generation designer attire will be available: sophisticated pieces by Umar Sayeed; playful and glamorous creations by Sania Maskatiya; floral ensembles by Farida Hasan; statement pieces by Maheen Karim; detailed embroideries by Hema Thakorlal Studio; and digital print, versatile silhouettes by Pasho. 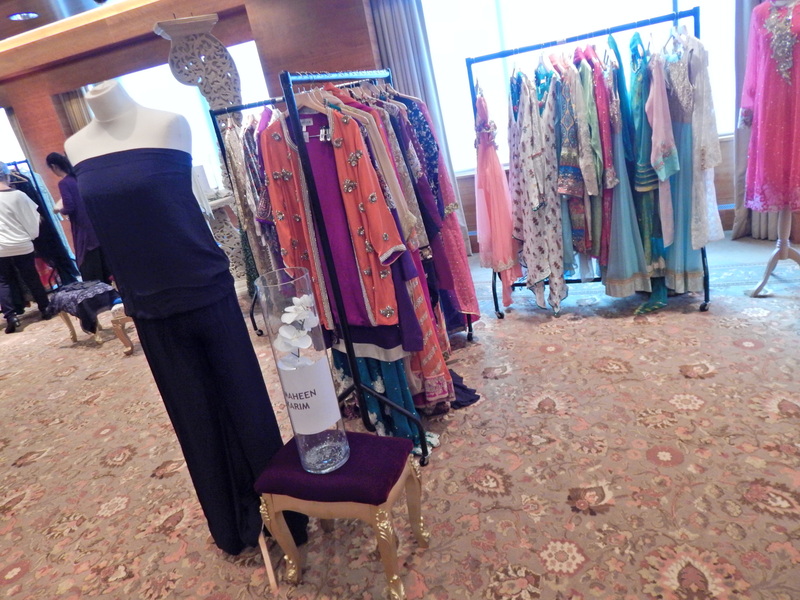 Additionally available will be children’s lenghas and kurtas by Tiny Tales and occasion jewellery by Rubina Kapoor. Also, personal shopping and styling services will also be available on the day! This is an event not to miss if you are looking for that new outfit for Diwali, which is nearly around the corner! For more information contact info@stitchthree.com or follow for more updates on their Facebook and Twitter pages.